The wrought iron is particularly gnarly. I decided on this one to etch my mark on the spine instead of the sides of the blade, makes it a bit less conspicuous. I also decided to not darken the wood this time. I like how this one turned out. I'm asking $205 for this one, price includes shipping within the USA. 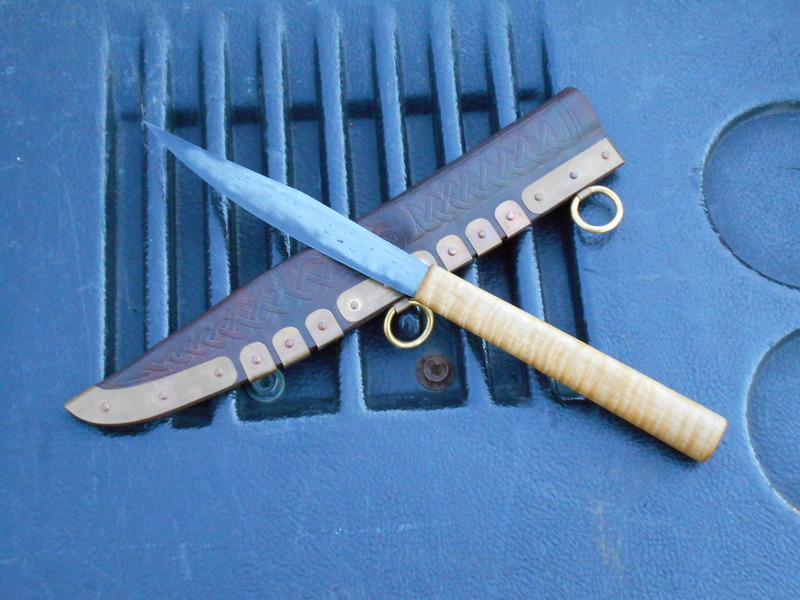 I have one question: Why is it called 'laminate seax'? 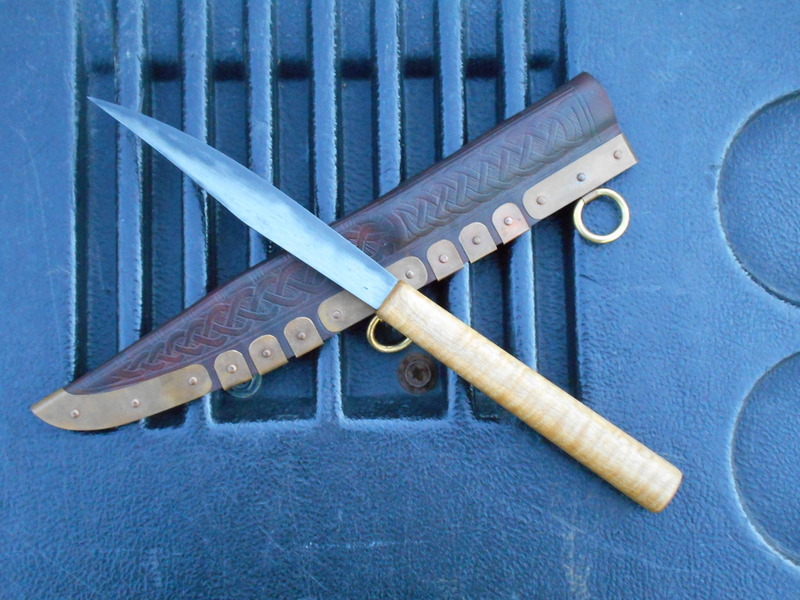 The blade is of laminated steel, wrought iron on the sides with a core steel of 1084.